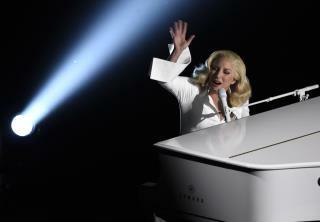 (Newser) – Lady Gaga's performance of her Oscar-nominated song about sexual assault during the Academy Awards on Sunday was a powerful moment for a lot of people. The Los Angeles Times reports two of those people were the singer's own aunt and grandmother, who weren't aware she was a survivor of sexual abuse herself. "My grandmother and my Aunt Sheri both called me the day after the Oscars because I never told them I was a survivor," Gaga posted to Instagram on Tuesday. "I was too ashamed. Too afraid." She first opened up about her abuse at the hands of an older man when she was 19 during an interview with Howard Stern in 2014, according to CNN. I didn't know she knew Bill Clinton. Most likely they never heard about it because she made it up for the Oscars. She is just an attention wh0re. Thank you. I watched it, and cried. All of those Survivors standing there, silently. It touched me so deeply.